Thanks to an evolutionary leap in image processing power and efficiency, the a7R III combines a high-resolution 42.4 MP back-illuminated Exmor R CMOS image sensor with impressive shooting speeds at up to 10 fps1 with full AF/AE tracking, as well as beautiful 4K2 HDR3 video qua0lity, wide 15-stop4 dynamic range and high sensitivity with noise reduction of almost a full stop4 (shown here with the Sony FE 24-70mm f/2.8 GM Lens). The 42.4MP high-resolution, back-illuminated Exmor R CMOS sensor utilizes a gapless on-chip lens design and AR (anti-reflective) coating on the surface of the sensor’s seal glass to dramatically improve light collection efficiency. This results in high sensitivity with low-noise performance and wide 15-stop4 dynamic range. No optical low pass filter maximizes resolution, while also having the ability to output 14 bit RAW15 format even when shooting in silent or continuous mode. Nothing less than spectacular images. 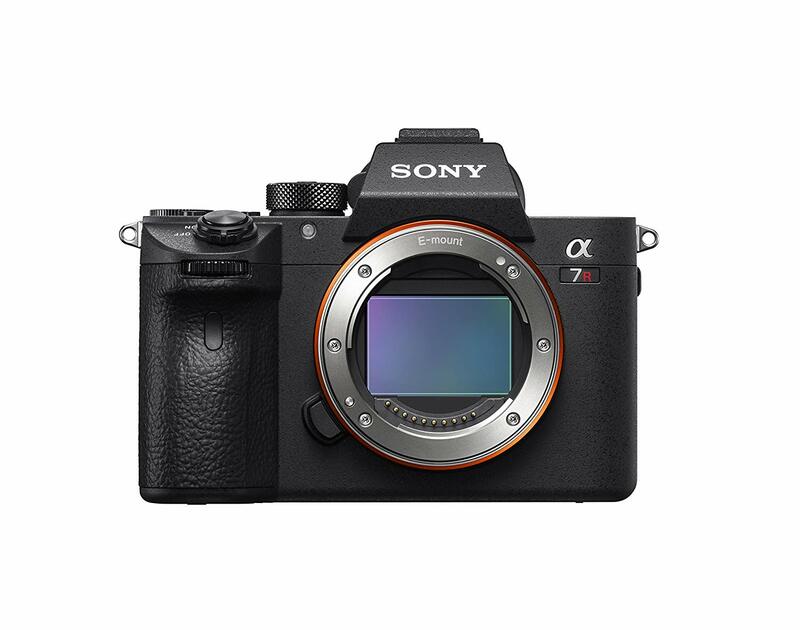 The a7R III features a new front-end LSI that effectively doubles* the readout speed of the image sensor, as well as an updated BIONZ X processing-engine that boosts processing speed by approximately 1.8 times compared to the a7R II. These powerful components work together to allow the camera to shoot at faster speeds while also enabling its impressive ISO range of 100 - 32000 (expandable to ISO 50 – 102400 for still images) and massive 15-stop4 dynamic range at low sensitivity settings. This ensures outstanding overall performance at all settings and in all shooting conditions. The a7R III is equipped with a refined image processing system that allows it to capture full 42.4MP images at up to 10 fps1 with continuous and accurate AF/AE (autofocus and auto exposure) tracking for up to 76 JPEG / RAW images or 28 uncompressed RAW images11. This high speed 10 fps mode is available with either a mechanical shutter or an electronic shutter for completely silent shooting, adding to the immense flexibility of the camera. The a7R III can also shoot continuously at up to 8 fps1 in live view mode with minimal lag in the viewfinder or LCD screen. These high speed options ensure that fast moving subjects can be captured with extreme accuracy and incredible image detail. The upgraded focusing system of the a7R III is comprised of 399 focal-plane phase-detection AF points that cover approximately 47% of the image area in both the horizontal and vertical directions and 425 contrast AF points which cover approximately 68% of the image area (an increase of 400 points compared to the a7R II). When combined, both contrast and phase detection AF points form the hybrid AF system for wide, fast, reliable AF that locks on and stays locked on. This advanced system delivers AF acquisition in about half the time as the a7R II in low-light conditions with tracking that is approximately 2 times more accurate as well. The acclaimed Eye AF feature is also approximately twice as effective4, and is available when utilizing Sony’s A-mount lenses with an adapter12. The 5-axis in-body SteadyShot image stabilization system has been fine-tuned to support high-resolution shooting capacity, resulting in the world’s highest10 compensation performance for an image stabilization system at 5.5 step7 shutter speed advantage. Camera shake is effectively compensated on 5 axes: pitch and yaw that have the largest overall impact on image quality; X and Y shift that is most apparent at high magnification, and roll that can ruin night shots and movies. Stabilization is applied to the live-view image, making it easier to frame fast-moving subjects. Effective stabilization is provided for movies as well as stills, and for A-mount lenses attached via a mount adapter12. Thanks to a new shutter unit with a fast-response coreless motor and a brake system, front and rear curtain mechanical shutter vibrations that can cause blur, is subdued to a minimum, while allowing high-speed continuous shooting at up to 10 frames per second. The shutter is also quiet, and has been tested for durability in excess of 500,000 shutter cycles4. Low-vibration high-reliability shutter helps to maximize 42.4 effective megapixel performance and enables 10 frame per second shooting with high speed studio strobes. In a 'normal' digital capture each pixel represents just one color: red, green, or blue. The surrounding pixels are used to supply the necessary extra information required to interpolate and reproduce the remaining two primary colors. Pixel Shift Multi Shooting8 takes advantage of the advanced in-body image stabilization system. It precisely shifts the sensor in 1-pixel increments to capture four pixel-shifted images containing a total of approximately 169.6 million pixels8 that are later composited using supplied software running on a personal computer to achieve overwhelming subjective resolution in a single 42.4MP image. Still images of subjects such as architecture and art are captured with true-to-life details, texture, and color. Two SD media card slots are provided for still and movie storage (one slot for SD cards or Memory Stick) with the lower card slot being UHS-II compatible for fast write speed. Still or movie data can be simultaneously recorded to both cards for backup, or RAW images can be recorded to one card while JPEG images are recorded to the other. It is also possible to record stills and movies to different cards. Data can be copied between cards while in the camera, for convenient back-up. Sony SF-G series UHS-II SD cards are ideal for situations where maximum transfer speed is required. The a7R III is exceptionally capable as a video camera, offering 4K2 (3840x2160 pixels) video recording across the full width of the full-frame image sensor. When shooting in Super 35mm format, the camera uses full pixel readout without pixel binning to collect 5K (15-megapixels) of information, oversampling it to produce high quality 4K footage with exceptional detail and depth. Both S-Log2 and S-Log3 are available for increased color grading flexibility, while HLG (Hybrid Log-Gamma)3 is included to support an Instant HDR (High Dynamic Range) workflow, allowing HDR (HLG) compatible TV’s to playback beautiful, true-to-life 4K HDR imagery. The a7R III can also record Full HD at 120 fps at up to 100 Mbps*, allowing footage to be reviewed and eventually edited into 4x or 5x slow motion13 video files in Full HD resolution. The high-capacity NP-FZ100 Rechargeable Battery has approximately 2.2x the capacity of the NP-FW50 W-series battery for more than double the stamina of the W series as used in the a7R II. The optional VG-C3EM vertical grip houses two batteries and when you need serious stamina for long sessions there’s the NPA-MQZ1K Multi Battery Adaptor Kit that can hold up to four batteries. The NP-FZ100 also supports InfoLITHIUM technology, which makes it possible to view the remaining battery power as both a percentage display and five step icon on the camera’s LCD screen. Eye AF automatically detects and focuses on the subject’s eye. It has been notably improved in the a7R III, providing approximately twice as effective compared to the a7R II, even when shooting a moving subject in continuous AF mode. Face detection has also been updated for higher reliability when the subject is looking away from the camera, when the face is in partial darkness, and other challenging situations. The tiltable 3-inch (1,440k dots) Xtra Fine LCD Display makes it easy to photograph over crowds, or objects close to the ground or maybe you just want to get a different perspective. The screen can swivel up approx. 107° and down approx. 41° and features a convenient touch AF function for fast intuitive focus. The large display delivers brilliant-quality still images and movies thanks to WhiteMagic technology that nearly doubles the brightness of the display through a unique RGBW pixel structure for easier checking of the focus and image details. 1 Up to 10 fps in continuous 'Hi+' mode, and up to 8 fps in continuous 'Hi' mode. Maximum fps will depend on camera settings. 2 A Class 10 or higher SDHC/SDXC memory card is required for XAVC S format movie recording. UHS speed class 3 or higher is required for 100 Mbps recording.